Alongside the introduction of the new Canyon Strive 29, the German direct-to-consumer seller debuted a redesigned version of its Shapeshifter travel and geometry adjust system. Introduced on the original Strive in 2014, Canyon Shapeshifter reduces suspension travel and steepens geometry. The goal is to create two distinct modes for climbing and descending. According to Canyon, Shapeshifter 2.0 is a refined design that performs the same tasks with superior ergonomics, more intuitive operation, and improved reliability. 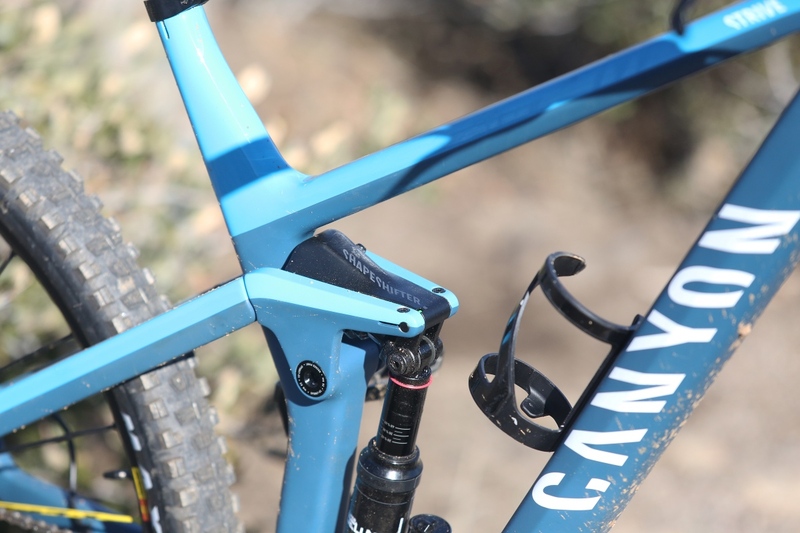 Read the Mtbr Canyon Strive First Ride Review here. In the case of the new Strive, Shapeshifter 2.0 reduces rear suspension travel from 150mm to 135mm. It steepens the head and seat tube angles by 1.5-degrees and raises the bottom bracket by 3mm. Shapeshifter 2.0 relies on an air-sprung piston tucked discretely into the rocker link to reposition the shock. With a press of a button, the rider changes the leverage rate, alters the bike’s geometry, and changes the suspension travel all at once. Think of Canyon Shapeshifter 2.0 as a “flip chip” that can be flipped while riding. Learn more about the new Canyon Strive, plus pricing, weights and build spec here. Riders can press the lever labeled Click to steepen the geometry and reduce the suspension travel for climbs and rolling terrain. When it’s time to descend, a quick Clack returns the rear suspension to full travel and lower, slacker geometry. 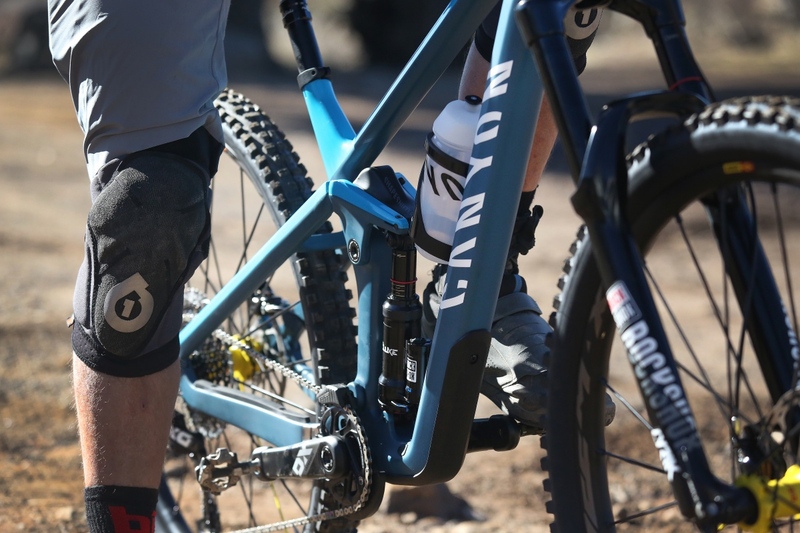 Canyon Shapeshifter 2.0 was developed in conjunction with the suspension experts at Fox. This iteration has improved seals and uses higher volume, self-equalizing air chambers that require less air pressure than the original. According to Canyon, this makes set-up easier and improves reliability. Should the Shapeshifter 2.0 need some TLC, it can be serviced by Fox or sent to Canyon. Canyon suggests riders service the Shapeshifter system when they service their rear suspension. 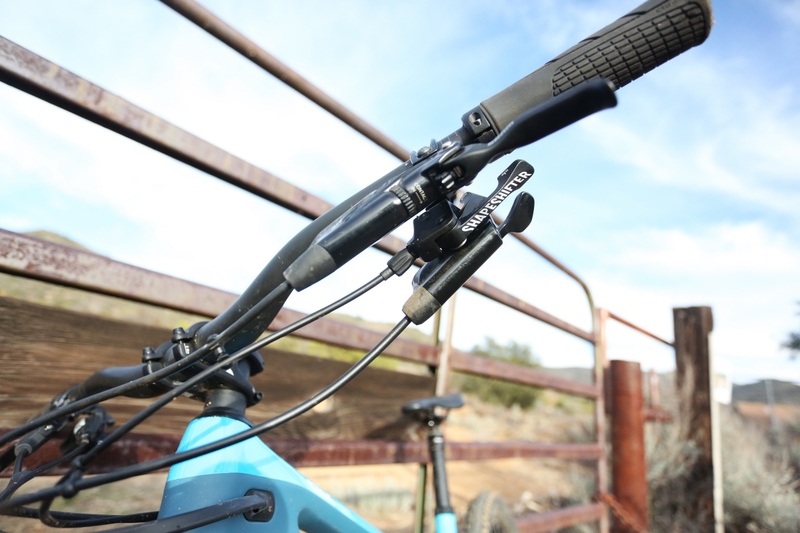 Canyon Shapeshifter 2.0 relies on a pair of levers mounted below the handlebar on the left side in the spot usually reserved for the dropper seatpost lever. Fear not, dear reader, the dropper lever remains close at hand. 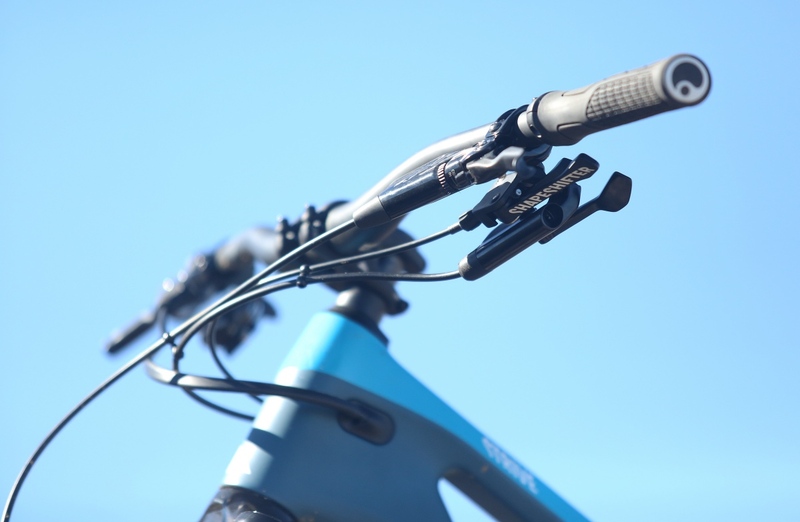 Shapeshifter 2.0 includes a Matchmaker-style mount that allows your dropper lever of choice to mount directly to it. 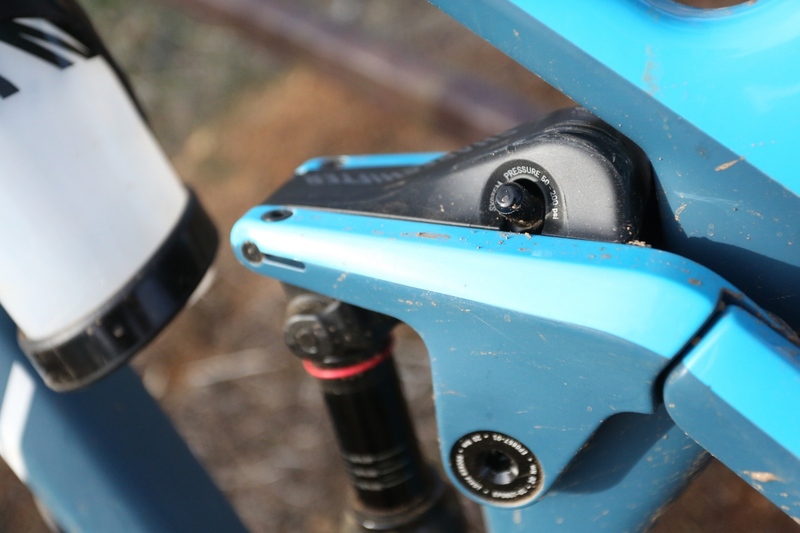 Canyon also developed a lever for cable-operated seatposts. As previously mentioned, Canyon Shapeshifter 2.0 uses a lower pressure system than its predecessor. 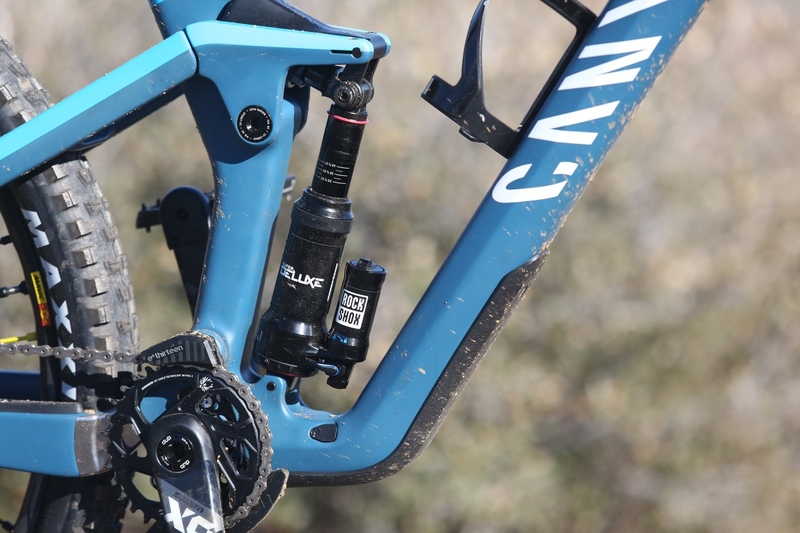 Canyon recommends setting up the front and rear suspension with the bike in its full travel mode before using a shock pump to pressurize the Shapeshifter to the same pressure as your shock. To enter pedal mode, the rider presses the “Click” button while unweighting the rear end. To return to full travel, the rider depresses the “Clack” button and sits or pumps to compress the rear suspension. Aside from having three levers in place of one, the system is easy to adjust to. For the first few minutes, I fumbled with the Shapeshifter levers when I wanted to drop my saddle, but the new lever layout became intuitive within 30 minutes of use. Compared to competing systems, such as Scott’s Twin-Loc, I found Canyon Shapeshifter 2.0 to be more refined in terms of form as well as function. Cable routing and lever layout are clean and, despite having the dropper lever in a slightly different location, all the levers are below the handlebar — as they should be. The primary advantage of Canyon’s system is that it is external to the shock. The shock itself isn’t cable-actuated; there’s nothing proprietary about it. Want to swap between an air and coil shock? Have at it. Is it necessary to keep shock upside down? It’s not. Look at the decals. The text is right side up. I’m sorry I can’t do this with a straight face. Any idea if one can install the updated shapeshifter on previous versions of the Strive?